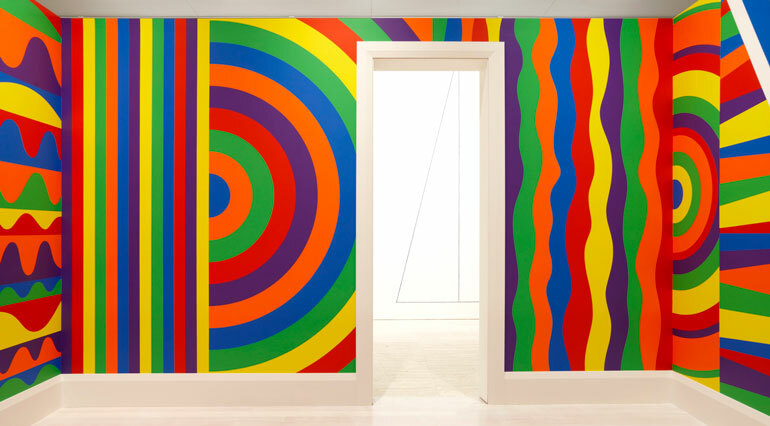 Sol LeWitt (America, 1928–2007) was one of the most influential artists of his generation. A pioneer of conceptual art, he forged a new way of thinking about making art. 'In conceptual art the idea or concept is the most important aspect of the work’, LeWitt wrote in a landmark essay in 1967. This exhibition showcases 40 years of LeWitt’s practice, including many works shown in Australia for the first time. Among the highlights are monumental wall drawings made from instructions written by the artist, a previously unrealised 'concrete structure’ and a comprehensive selection of works on paper and archival material, revealing the major developments in his work. The display concludes with one of his final ‘scribble’ drawings of 2006, which will take more than 25 days and three assistants to realise. Two specialist LeWitt assistants will travel from Helsinki and Berlin to oversee the creation of the four new wall drawings. In another first in Australia, LeWitt’s work will be shown alongside paintings from his personal art collection by Indigenous artists Emily Kam Ngwarray and Gloria Tamerre Petyarre, which were a source of inspiration for LeWitt. The John Kaldor Family Collection, now part of the Art Gallery of NSW collection, forms the foundation of this exhibition, along with significant loans from the Naomi Milgrom Collection in Melbourne and the LeWitt collection in Carver, Connecticut, USA.